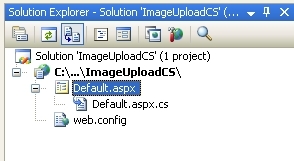 One of the more common requests I see on various ASP.NET forums and discussion groups from new developers is how to upload an image and resize it. This simple example does just that. The code samples in this article can be downloaded using the link at the bottom of this article. 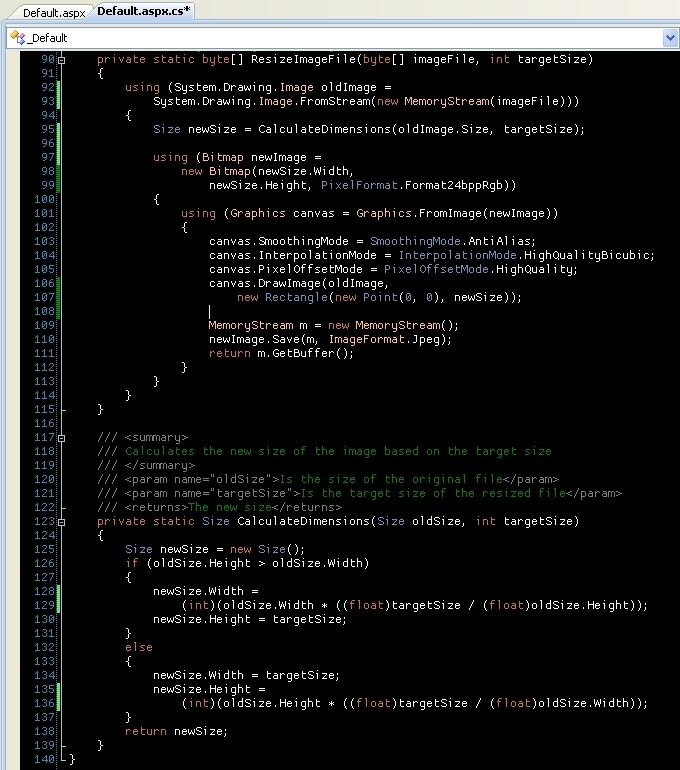 Samples were created using Visual Studio 2008 (ASP.NET Web Site). There are samples for both C# and Visual Basic.NET in the download file. The requirements here are pretty simple and for the most part don’t require any extra decision making. For this sample we are not going to worry about some possible issues such as file size, logic to deal with files that are not images being uploaded (people fooling around with the feature) and such. 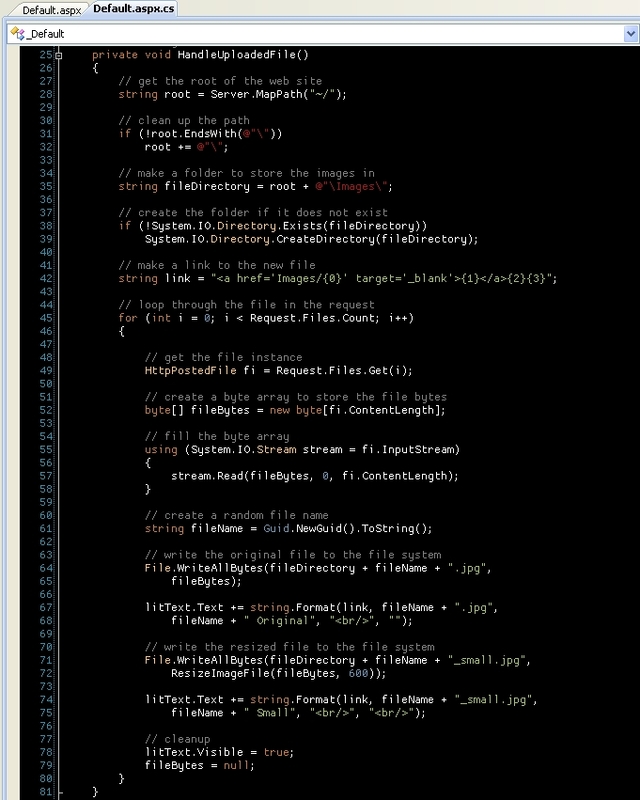 We will need to add a couple of using (imports in VB) for the image handling as well as the file system handling lines, the System.Drawing and the System.IO. This logic was not written by me but copied from the Personal Web Starter Kit that and is available as a download from asp.net. The new size value you pass in when calling this method will change either the height or width of the original image based on if the picture is a portrait or landscaped image this is done to maintain the aspect ratio and not have a distorted image. This is a simple and no nonsense approach to this common feature and there are other things that could be addressed with this sample like client validation before an upload is done to make sure that the file picked has a certain extension and or if the user actually picks a file before the submit button is pressed, also the size of the image being uploaded, you may have to update the web.config to allow for a bigger file or put restrictions on the size being uploaded.